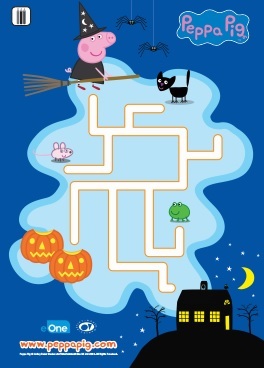 Welcome to TMG: Peppa Pig Pumpkin Party Sunday at 7pm! Peppa Pig Pumpkin Party Sunday at 7pm! 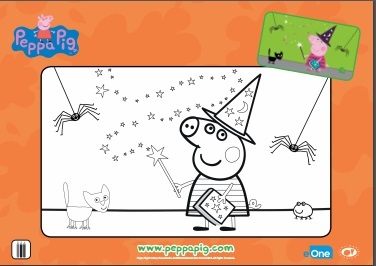 Peppa Pigs Pumpkin Party Printables and More! 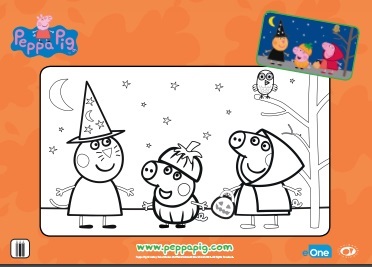 Peppa Pigs Pumpkin Party is happening this weekend on Nick Jr.! " At 7pm ET, it’s time for a “Pumpkin Party” – and everyone is invited! 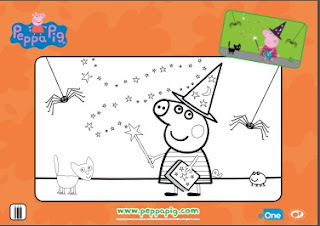 In this very special extended story, guests will be coming dressed in scary costumes – Peppa is a witch, George is a dinosaur and Rebecca Rabbit is a carrot...gone bad! 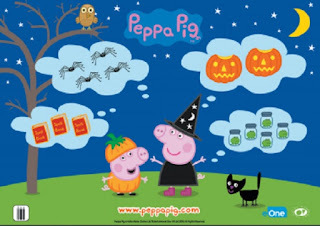 Viewers will also join Peppa on exciting new adventures that include participating in a pumpkin competition, taking a trip to a castle and more! Plus, Peppa will meet a new friend at playgroup, Gerald Giraffe!" For even more fun- here are some great printables to get in the Pumpkin Party mood! Enjoy!